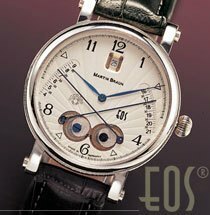 While searching for more interesting mechanical watches to bring to your attention, I came across this number fro m Martin Braun – the EOS 42B. If you look closely at the watch, you’ll notice another pair of hands crossing in an “x” formation in the lower half. Whatever could they be? Surprisingly, they are indicators of both sunrise and sunset times – custom set to the owner’s city or location (hence the “factory custom” moniker I’ve bestowed upon it). 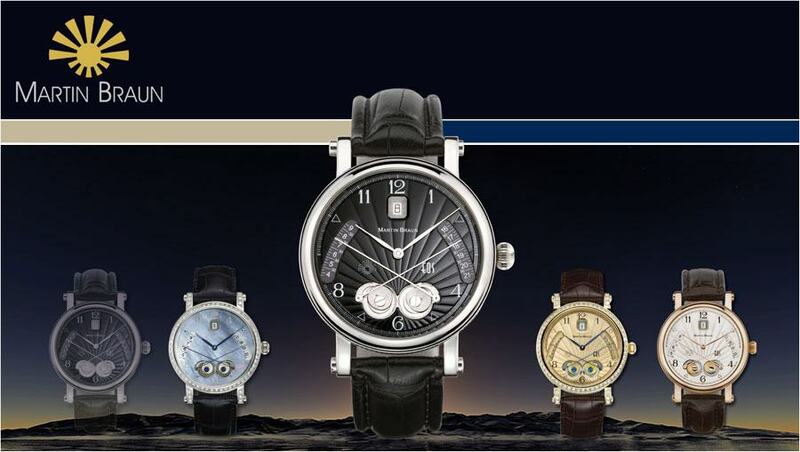 While moonphase watches, and their brethren, have been aesthetically interesting to me, I’ve never been much interested in the functionality. This, however, is a whole different ballgame. Even the origin of the model’s name gives you some sense of where the designer is coming from, as Eos is the Greek goddess of the Dawn. The timing of the sunrise and sunset is controlled by the small cams you see the indicators attached to – and they’re custom set to a specific location. This makes the watch rather specific to the place you call home. Also of note, it does not adjust for daylight savings time – so be prepared to do a little mental arithmetic if you live in a location impacted by those changes. You’ll also want to keep the customization in mind if you’re looking for a previously owned model – find one local to you, or be ready to send it in to the factory to have it redone. All in all, a rather interesting watch, and one you’re not likely to run into very often on the street. It does look cool and I like the idea too but to me, it seems rather impractical since that times are constantly changing depending on the time of year and rotation of the earth. It seems that it would so often be off that it would very quickly loose any practical usage and one would, as a result, start to ignore it. The Yes Watch, is better for tracking sunrise and sunset, but of course is not mechanical, like this EOS collection.